[Spoiler Alert] We’re about to dive deep into Mr. Robot episode 8 (eps3.7dont-delete-me.ko). While this series focuses on technical elements in the show, at times, it can’t help but spoil narrative too. Don’t continue until you’ve watched the episode. I’m not too masculine to admit it … this week’s episode had this information security (InfoSec) geek tearing up. Wednesday’s Mr. Robot episode was less about hacks and plot development, and more about building a character journey — specifically, Elliot’s. There were zero hacks in the episode, and meager computer time. While this fact did make for one of the most beautiful and redeeming character arcs, it does make it hard for this Mr. 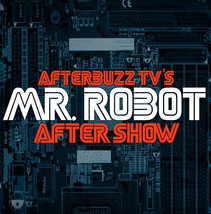 Robot Rewind article series, which is designed to analyze the hacking accuracy of each show. However, like Elliot, I’m no quitter (I have kids that keep me happy to be alive too). Even without hacks, there were a few interesting security-related technologies, and even hacking metaphors that we can wring out of this episode. Let’s take a look. When I sit down with Carly Chaikin in a cozy conference room at the ELLE.com offices, she's vibrant and energized, just having filmed a video with Mr. Robot co-star Portia Doubleday. "I love games," the 27-year-old exclaims. "When I first saw Celebrity Family Feud, I literally, in all caps, emailed my team and was like, 'WHY AM I NOT ON THIS?'" Compared to someone who's skipped her morning coffee (me), she's downright peppy—although, actually, "peppy" is probably the last word anyone would use to describe Chaikin. Despite her genuinely warm, enthusiastic presence, there's something inherently laid-back about the actress. Maybe it's a character bleed; Chaikin plays Darlene, the sardonic, chain-smoking, sharp-tongued sister of protagonist Elliot Alderson (Rami Malek) on the Emmy-winning USA network series. The mysterious and twisty show Mr. Robot serves one major turn after the other. Season 1 floored fans with the reveal of who Mr. Robot actually is, Season 2 threw another major confusion in the mix with truth about the prison, and now that Season 3 is coming to a close (with the last episode on Dec. 13), fans are still hard at work trying to understand what the hell is going on. The show's stars are surprisingly in the same boat. Carly Chaikin and Portia Doubleday weigh in on fan theories, suggesting some are more viable than others, and say they have been thinking up explanations of their own. 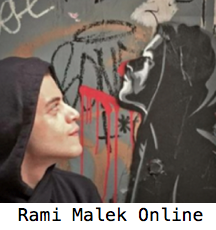 Fans never know who or what to believe since the show is constantly bending Elliot's (Rami Malek) point of view and reality (or what fans think is reality). And it seems like creator Sam Esmail keeps his secrets about the show so under-wraps that even his cast is left guessing. "I have zero idea what happens. Literally zero idea," says Chaikin (Darlene). "Once the finale comes out, us and the rest of the world will be on the same page." Fans may never truly get the satisfaction of answers they're seeking, but in the meantime there are incredibly thorough internet theories. Three words, five letters, said more about Elliot Alderson (Rami Malek) and his present state of mind than any of his many memorable monologues could have accomplished. Reeling from the events of the past three episodes of Mr. Robot, in which a massive terrorist attack killed thousands of people across America (thanks at least in part to Elliot's own efforts, as much as he tried to sabotage his alter-ego's destructive plans) including scapegoats Trenton (Sunita Mani) and Mobley (Azhar Khan), Elliot spends the first acts of the most recent outing, "Don't Delete Me," prepared to take one final action against the Mr. Robot (Christian Slater) side of his personality: suicide. Instead, Elliot found salvation in the form of Trenton's younger brother Mohammed (Elisha Henig), a stubborn youth wrestling with his own rage over the death and wrongful accusations toward his sister. 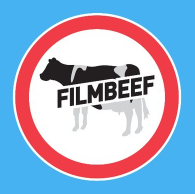 Over the course of the episode, Elliot winds up playing the role of reluctant babysitter to Mohammed, first catching a very special viewing of Back to the Future II, later engaging in a soulful exchange with the young boy inside of a mosque. There, Elliot articulated the depths of his own despair in those five short words, responding to Mohammed's taunt: "I wish you were dead!" And in expressing the words, Elliot realized how wrong he was — a good thing, too, as it turns out that Elliot might have another chance at righting some of his own wrongs, the inadvertent ones and otherwise. Mr. Robot may have bobbled the immediate aftermath of Stage 2, the mass murder at the center of its Season 3 storyline. But in its own melancholy way, the follow-up feels like the show has found itself again. Being the catalyst for a movement that eventually led to the deaths of thousands of people not to mention two colleagues who were murdered so they could play scapegoats for the entire ordeal will tend to send anybody crashing to rock bottom. It’s safe to say that’s exactly where Elliot Alderson finds himself during the latest episode of ‘Mr. 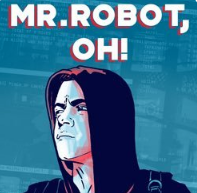 Robot’ as the one time hacker who launched fsociety has now found himself guilt ridden after the Dark Army blew up 71 buildings, killing thousands of innocent people, all for the sake of an ongoing war with Evil Corp.
It’s no wonder that the latest episode of ‘Mr. Robot’ follows Elliot’s downward spiral where he orchestrates his own planned suicide and the journey back from the brink. This episode dealt with the idea that what you delete isn’t always gone forever. It also brought along some excellent character development to Elliot Alderson. I want to share 7 thoughts I had about this episode that made me realize how incredibly brilliant this series is. Mr. Robot returns with an Elliot-centric episode and an unlikely friend for him. Mr. Robot starts with a flashback to “movie night” with Elliot and his dad. They’re there to see Shallow Grave but after his dad passes out, Elliot goes into a showing on his own. It’s a clever way to have the title card come into play this episode, especially as Elliot took his dad’s Mr. Robot jacket off of him. Cutting back to the present, Elliot is back in his apartment, deleting files that no longer hold value. However, he’s writing the files to a disc and we see his collection of music, so to speak. It is good to know that he is in fact thinking of Trenton and Mobley and what exactly they died for. 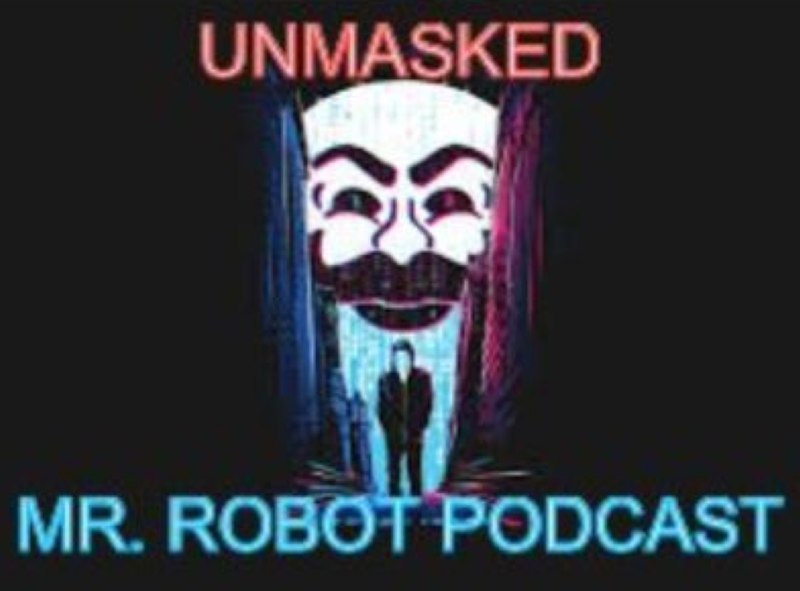 If “eps3.4_runtime-err0r.r00” crystallized the streamlined shape of Mr. Robot’s third season, “eps3.5_kill-pr0cess.par2; elaborated on it, and last week’s Knight RiderslashBreaking Bad-inspired “eps3.6fredrick&tanya.chk” (R.I.P., Trenton and Mobley) suggested that even this tighter focus has limits, tonight’s episode, “eps3.7_dont-delete-me.ko,” unwraps the sentiment hidden in the side pocket of the season’s action and underscores it to superb effect. Bookended by more familiar features of Sam Esmail’s fictional universe—grief, regret, philosophical inquiries on the meaning of “deletion,” digital and analog—the heart of the hour is a sweet, surprisingly funny two-hander, a buddy comedy discovered on the edge of despair. 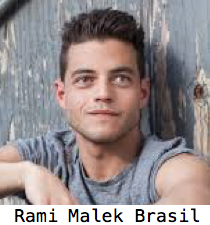 It is, in its way, as unexpected a development in the series’ arc as the singular momentum of “runtime-err0r.r00,” in part because it’s a respite from Elliot’s (Rami Malek) inner monologue. For the space of an afternoon, Mr. Robot (Christian Slater) goes silent, because he and Elliot are one in the same. Spoilers for Mr. Robot follow. After her death in the previous episode, you may not have expected Trenton to play such an vital role in "Eps3.7dont-delete-me.ko." But Elliot may be able to undo the Five/Nine hack on Mr. Robot now, thanks to Trenton's ingenuity. Also, Trenton's younger brother unwittingly stops Elliot from killing himself in the episode, so Elliot owes more to his fallen fsociety colleague than she'll ever realize. This could all be an elaborate setup, since a mysterious van returns Elliot's personal items to him at the end of the episode. But it seems like Elliot could reverse his biggest regret by the time Mr. Robot Season 3 is through. At the end of Season 2, Trenton told Mobley that she discovered something. "We could potentially undo this whole thing, put everything back the way it was," she said. Angela has been fixated on undoing everything, even appearing to believe that she can undo the deaths of her mom and Elliot's dad. But Trenton was just talking about the Five/Nine hack. The fsociety hack was supposed to halt E Corp's spread and make people's lives better, but it has only led to more destruction and terror. So Trenton investigated a potential fix. At last, Elliot has had enough. Mr. Robot has been chasing him since he was a kid, and he can’t seem to lose him. Drugs, therapy, jail — none of it worked. He thought focusing his energies on Robin Hood–esque cyberterrorism would cure his malaise and make him a hero, but he only ended up playing into the hands of the world’s most insidious international terrorist cell. Three weeks after 71 E Corp buildings exploded, Elliot makes a crucial decision, one that he’s been thinking about for a long time. “eps3.7_dont-delete-me.ko” follows Elliot’s suicide attempt and his slow return from the brink. Written and directed by Sam Esmail, it’s an unusually sentimental episode of Mr. Robot, one that passionately argues life is worth living even when you’re going through personal hell. Given the series’s appropriately fatalist attitude for the past few episodes, this marks a noticeable shift in tone. Mr. Robot has ostensibly earned that shift, and the end result is satisfying, but it’s not without its fair share of bumps in the road. If you've ever added an unnecessary "sorry!" to soften a work email or gotten the third degree from your nosy aunt about putting career over starting a family, you know how it feels to be trapped in traditional expectations of womanhood. In USA's hacker drama Mr. Robot, Portia Doubleday plays Angela Moss, someone who rejects those standards, becoming one of television's most compelling characters in the process. But because she puts her own motivations first, the cool and collected Angela has been labeled by some with the dreaded, gendered b-word: b*tch. Because she's a woman living in the world, Doubleday is bitterly aware of the double standard. "What if it was a male character that wasn’t as emotional and was more intrinsic or was more incredibly motivated or wanted to climb up the corporate ladder?" Doubleday says to Bustle. The unspoken answer to that rhetorical question is that no one would call that character "a b*tch." If there's one thing that can be learned from watching Mr. Robot, it's that no one can be trusted — not even yourself. Despite being unable to trust himself or anyone else, there's always been one person that Eliot Alderson never had to worry about. Elliot's Mr. Robot therapist, Krista (Gloria Reuben), is currently the only person in his life who hasn't betrayed him. Darlene, Angela, even his own alter-ego have all gone behind Elliot's back, but he's always had his therapist on his side. However, some fans believe that's about to change, or maybe has never been the case. Fans have already theorized that Krista may not actually be real, but the most recent episode of Mr. Robot, "eps3.6_frederick&tanya.chk," seemed to disprove that, featuring a scene with Krista speaking to her counselor. Krista talked to him about Mr. Robot's claims of having committed the Five/Nine hack, and for being complicit in the recent terrorist attack that destroyed 71 E Corp buildings, killing as many as 4,000 people. It's an alarming claim, and yet it seems that Krista is bound by doctor-patient confidentiality to keep her patient's confession a secret. But is his therapist actually interested in Elliot's well-being, or is she playing a more complicated game? [Spoiler Alert] This article discusses plot points and full technical details from Mr. Robot episode 7 (eps3.6_fredrick+tanya.chk). Stop here if you haven’t watched the episode. 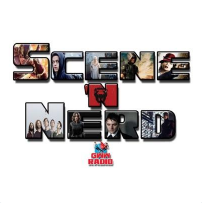 This episode should be called, The Culling of Fsociety… Wow. I’m sad to see two incredibly interesting characters go in the latest episode of Mr. Robot. If you’re new to the Mr. Robot Rewind series, these articles dissect the hacks we see in most episodes to determine what’s accurate, and what’s not. 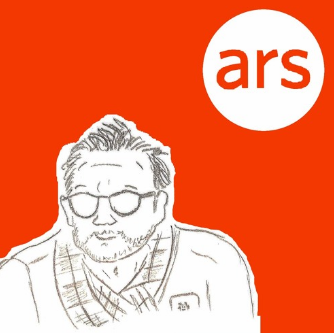 Surprisingly, this series takes technology so seriously that it gets just about everything right (with a few exceptions to drive the narrative). Episode 7, however, didn’t really contain any hacks; just an allusion to one that could have happened. Nonetheless, we can still appreciate the few technical details included, at least once we’re finished weeping about our lost friends. Let’s take a look. The Dark Army’s plan may have worked, but for the first time this season, Mr. Robot’s plan failed. This week’s episode, “eps3.6_fredrick+tanya.chk,” follows all of the major players — including a few we haven’t seen since last year — in the hours immediately following the 71 simultaneous bombings of E Corp storage facilities that constitute the dreaded Stage 2. Yet the soul-crushing dread and despair you’d expect, particularly if you remember weathering similar tragedies, is missing in action. Usually surefooted even when traveling the most treacherous and tricky narrative paths, Mr. Robot’s storytelling seems to have stumbled the second it got past the finish line. After spending the better part of two seasons teasing ‘Phase 2’, ‘Mr. Robot’ finally unleashed the attack last week and it’s safe to say the result was shocking to just about everybody involved as well as viewers watching at home. 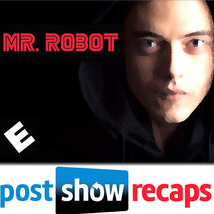 Elliot Alderson has spent the majority of the season trying to stop the attack that was expected to topple a building in New York City that housed all the paper records for E-Corp that backed up all the information wiped out during the Five-Nine hack.